Jasmin herself rides her Grand Prix horse Flirt, small tour horse De Libris, and younger horse Finny in a Wolfgang Solo MK II. The other saddles that she rides her client horses in are the Icon Coda for Tommy a Conomara pony, Advantage R, for a 17.3 hand warmblood, and the Gemini R.
Jasmin Becker is currently accepting new clients at Wyvern Farm in Martinez, California. 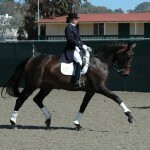 Jasmin has been an active multi-discipline equestrian competitor since she was six years old. 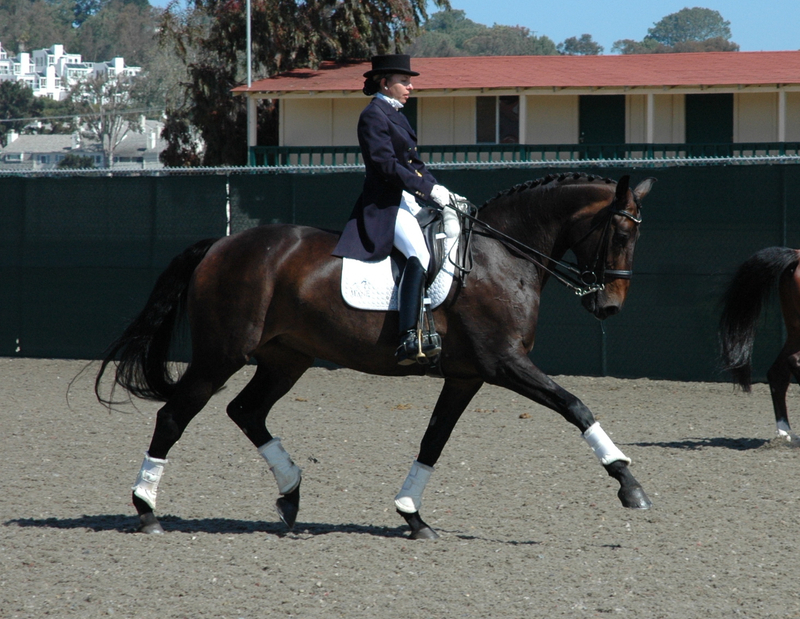 With an education in Environmental Biology, Jasmin trained extensively in Germany and rode in international competitions, receiving her German Trainer License in Dressage in 2006. Her equestrian-consulting company, Mane Imports, facilitates the sale of top-level horses to clients in North America, Europe, and Japan. Having recently re-located to the North Bay Area, Jasmin is an enthusiastic trainer who enjoys teaching all levels of riders from Training Level to Grand Prix and will offer her skills and experience to Dressage students at Wyvern Farm. Please contact Jasmin Becker 303-809-6997 or info@maneimports for more information. The Arena Barn features four 12’x18′ stalls, one 12’x 24′ stall and two 12’x12′ stalls. These stalls are enclosed, with barred half walls for separation. Each stabling area has its own tack room, feed room and groom stall to maximize convenience for the riders. Four large paddock areas with shelters and two one acre pastures with shelters are designed for horses needing more room to roam.